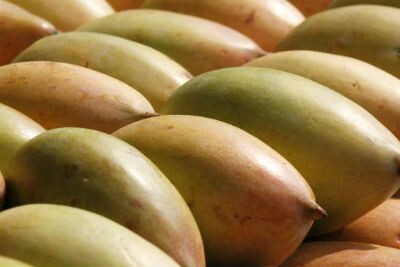 Choose large firm raw green mangoes. The omelette or raspuri varieties are best. Those with more flesh and lesser fibre. Peel with a vegetable peeler. Slice into long thin slices, and put in strong sum immediately, by spreading on a clean dry cotton sheet in single layer. The slices should be in bright strong sun for at least 4-5 hours, to avoid them from discolouring. Spread in a dry warm area in the night and spread again as before till the pieces are crisp and brittle. Pound and then run in dry grinder till a fine powder is got. Sieve if required to make even powder. Store in clean sterile airtight jars. Feel free to comment or share your thoughts on this Dried Mango Powder Recipe from Awesome Cuisine.